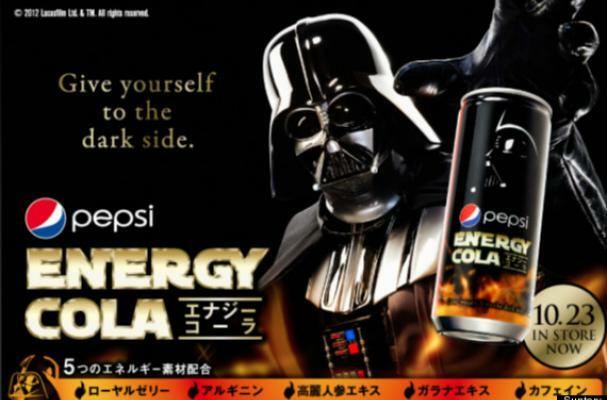 Pepsi Energy Cola, a recent release from Suntory, will easily convince you to join the dark side. The energy drinks showcase an image of Darth Vader to help boost sales. The energy cola is just one of many new editions to Pepsi Japan's sodas like Pepsi Special.